Zest. The only way of life! Part 2. 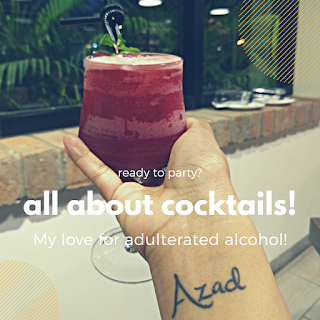 I have to thank the BlogAdda people for fulfilling each and every criteria to give me a Zesty life. After I wrote about the five things that give me my zest, I received a call from this very pretty (and) smart girl from BlogAdda that they want me to be a part of the zestful experience at Goa with BloagAdda and Tata Motors. 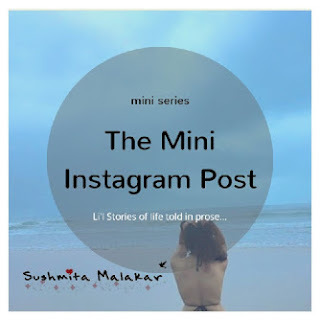 I need to share this Zest up your life Bloggers meet in Goa. I have to. At first, I had no idea what she was talking about. It seemed like a dream, it seemed like a prank. But then, it was true. This was my first ever experience of travelling alone-without parents- going to a place where I know no one and of which I had no idea. I did not know anyone, except this one blogger from Mumbai, who has been the first follower of my blog. I had mixed feelings about leaving for 2 days to Goa. Part of the li'l welcome kit. Let me just justify how this trip actually made by weekend zesty by actually achieving each and every factor of my zestful life! This meet might not have helped me realize the dream of one Harry Potter life, but yes, flying alone and then driving alone on some unknown roads has always been one of my fantasies. Trust me, it is really difficult for me to convince my parents to do anything. I have no idea how they agreed to this one-and this crosses out one of my dreams too. Since the time I left my home for the airport till the time I left the resort for the airport again, I was totally thrilled. The two days were jam packed with so much of fun-food, drinks, surprises, drives and people-but still at the end I did not feel the tired! This trip did not leave any space for that sudden craving. The spread during every meal at the resort was, was just great. Scrumptious. My sweet tooth came back, which I lost few months back. Apart from the regular Indian and the continental cuisine, as I mentioned the dessert spread was huge. Yes, the muffins, the doughnuts, the cheese cakes were there. But they had these various Goan sweet delicacies too. I didn't get to know the names, but they were good. I could just recognize the Bebinca cakes. The fastest man in India-Narain Karthikeyan. I couldn't have asked for anything more. I mean exactly the kind of surprise I wanted to mention in the last post. The evening was well spent with two very beautiful people. The man himself and Miss Malini were the stars of the event. The amount of love I received when I met a whole new bunch of people in Goa, was just wonderful. Firstly, the BlogAdda people. Harish had been a sweetheart throughout the event. He was actually the real host to me. And yes, it is because of people like him that events like these can conclude so well. Then, Ankita, the lady of BlogAdda. I literally ate her head before going to Goa regarding every minute detail, and she helped me out very patiently. And during the event, I have to say, she was the elegance personified. Also, Anand and Preeti, who were constantly helping out people with everything they needed. Too sweet, both of you! Secondly, the fellow bloggers. I met my oldest blogger friend, Stephen. He has been the one person who has read almost all my cribbing that I do here. He stayed in Delhi for almost two years but we could never meet. And finally we met at this exotically neutral location. Then I met Roshan. I really don't know how I should describe this man. He is a doctor and the most creative and melodramatic blogger I have cam across ever. I also befriended two beautiful bloggers from Delhi, Shwetabh and Manjulika. Shwetabh happens to be a person who just wants his thoughts to be heard. Nothing more he expects from his blog. Manjulika is an engineer by profession, so my heart cried out for her. But she is a wonderful person and a writer. I enjoyed talking to her about books and beyond at the airport. Then there was Hemant, who happens to be a Marwari but he looks everything but a Marwari. He can pass off as a Marathi, a Tamil and a Bong. Pretty good sense of humor he has! Certain more meaningful and wonderful people were Sammya, Sid, Christine, Senthil Sir, Vidya Ma'am, Keyur, Anshita, Shashank and Ritu Ma'am. Yes, lovely people who shared a common interest! What can be more spontaneous than packing up your bags and rush to an unknown place? Or may be just go and drive on totally unknown roads? I am yet to experience anything more spontaneous than that! An amazing weekend with good memories to cherish for a long time to come. 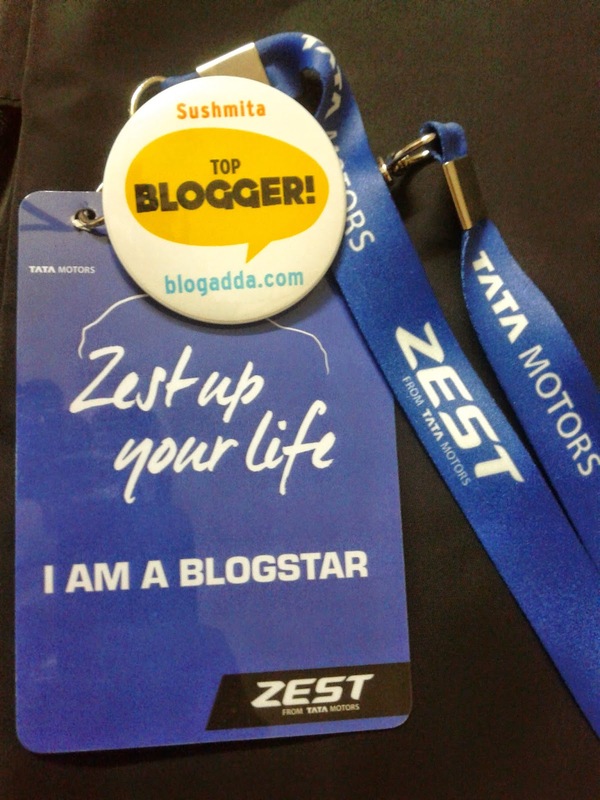 Thank you BlogAdda and Tata Motors! I don't know what you mean... I was so prim, proper and serious the whole time! No change in my stoic facial expressions at all!! Sush- It was great meeting you in person. And you're still the same offline and online. Stay in touch my dear blogger friend! Thanks..And thank you for the offer too! I will always stay in touch, no matter how much you ignore me. 10 day YOU challenge. 2 films. Zest. The only way of life! Part 3. Zest. The only way of life!